The Sassy Tomato and The Spicy Olive, it was only a matter of time before our paths crossed. Sassy meets Spicy and Tomato meets Olive. The roots to our names are different yet share commonalities. However, one thing is for sure, we share the same love and appreciation for good food and the farm to table movement. Let me take you through my day at Plan B Organic Farms with the lovely Irene Matys, The Spicy Olive. I spent the day helping out in the fields and later preparing lunch with Irene for the Plan B family. A very short and sad post today. While this farm to table movement is growing, sometimes we lose some people along the way. Today I want to highlight a very special farmer: Farmer Kris from Rocket Farm. 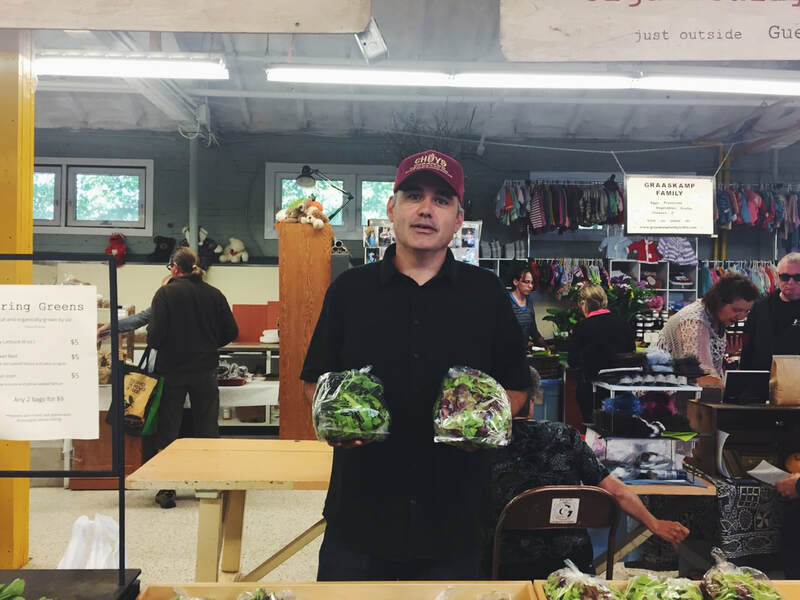 While I only met Kris this summer through my friend, Ryan Goodfellow​ (another amazing individual btw & owner of GoodFellow's Field To Fork Bakery) I am glad I got to meet him and have the chance to taste his amazing vegetables! ​You all may have heard but after 7 years of hard work and passion, Kris will no longer be growing his amazing greens and French inspired vegetables. I am very sad to see him go and will miss him and his stand at the Guelph Farmer's Market.